Your child's well-being and safety are extremely important to you. Particularly when she is under your care — at your home, in her own home, in the car, or elsewhere — make sure that you've taken every step possible to ensure that she's safe and secure. Bullying on the Bus: How Should Parents Handle It? 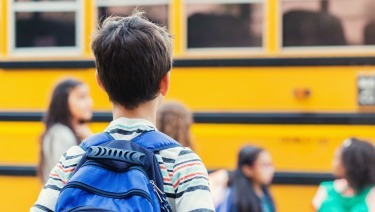 ​​Many of us have our own childhood memories of bus bullies, but as parents the situation presents new challenges in knowing how best to handle the situation and help our children. Here are some tips for handling the situation.